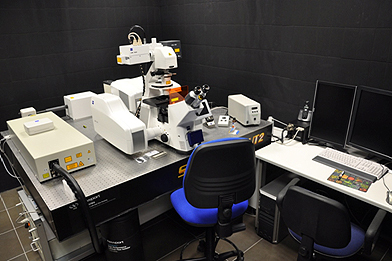 The full cost of the facility, in excess of 1.5 million Euros, is financed by a European Research Council (ERC) Advanced Investigator Grant, awarded to Dr. Nektarios Tavernarakis. ERC advanced grants are highly competitive and allow exceptional, established research leaders in any field of science, engineering and scholarship to pursue frontier research of their choice. Funding can reach a maximum of 3.5 million Euro for up to 5 years. 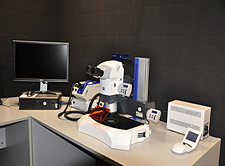 The facility incorporates the very latest technology in multiphoton microscopy and optical imaging. 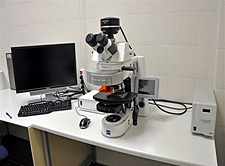 "It will enable researchers to visualize and monitor fundamental biological processes deep inside living cells and organisms" said Nektarios Tavernarakis. "The availability of such a unique capacity will, without doubt, catalyze progress in a wide range of biomedical research, including neurobiology and development, as well as, the study of devastating human pathologies, such as neurodegenerative disorders, cancer and the process of ageing", he added.